D.F. STORM - a high speed 3,500 RPM fan, equipped with leading Twister Bearing technology. This industrial-grade fan features the patented DFRTM technology, which allows the fan to blow away dust to prolong its lifespan. D.F. 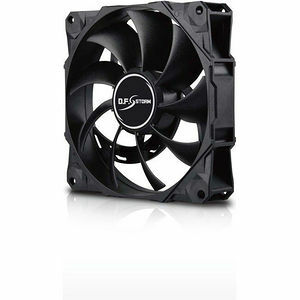 STORM also incorporates the patented APS PWM control for 3 different RPM ranges: 1500-2200/2800/3500, enabling users to adjust the fan speed range according to their system needs.